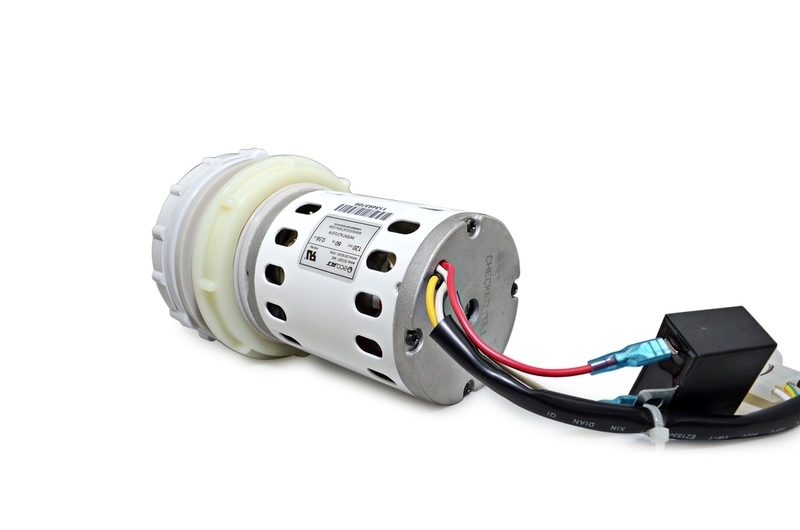 Ecojet Magnetic Whirlpool Motor (Design for Pedicure Spa Chair). 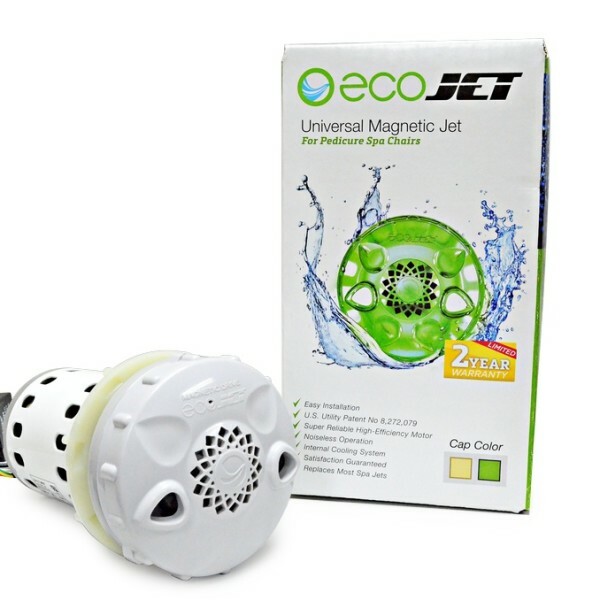 The Ecojet Magnetic Drive Jet brings sanitary in a whole new level. This jet system is highly efficient and reliable. We back our motor with a two-year warranty. 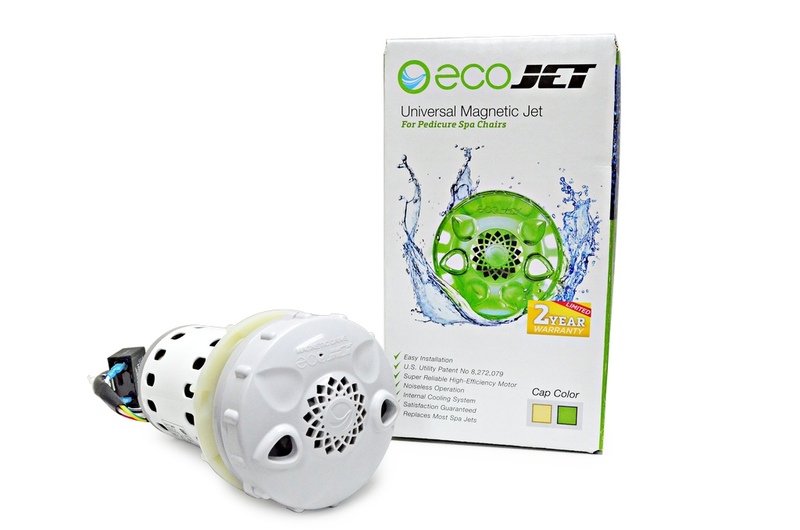 This magnetic drive jet is UL recognized, Utilities Patented (8,272,079) and U.S. Patent No RE46,655. This magnetic jet is assembled and tested in the U.S.A. This kit is design to fit most spa chairs in the market. 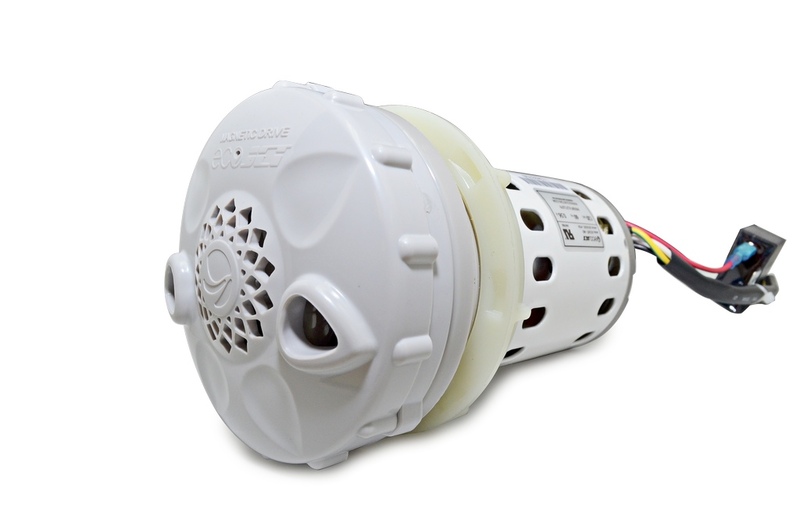 The Ecojet Magnetic Drive Jet will fit the standard 3 inch diameter cut out without any adapters. Cutouts that are larger than 3 inches will require to use the Ecojet Universal Adapter. The max cutout for the Ecojet Universal Adapter is 3.5 inches. Any larger will have leakages (please reference manual for further instructions).